Anyway, I used the 2 lbs of meat, about 1/2 cup of breadcrumbs, an egg, and a minced shallot. Then I browned them in a small bit of vegetable oil - didn't cook them all the way through, I just browned them on the outside. 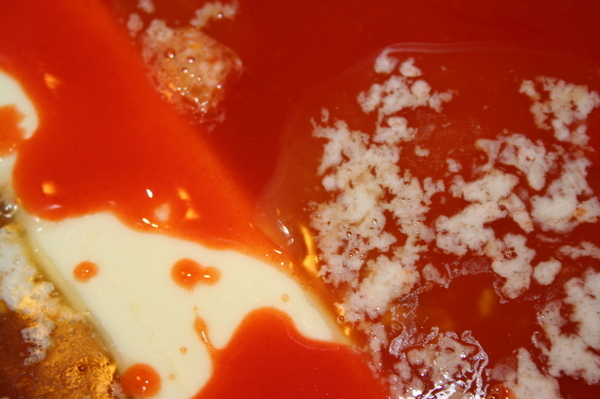 Meanwhile, in a sauce pot big enough to contain all the meatballs with space left over, combine a stick of butter and two cups of hot sauce - I used Frank's Red Hot, but use whatever you like. 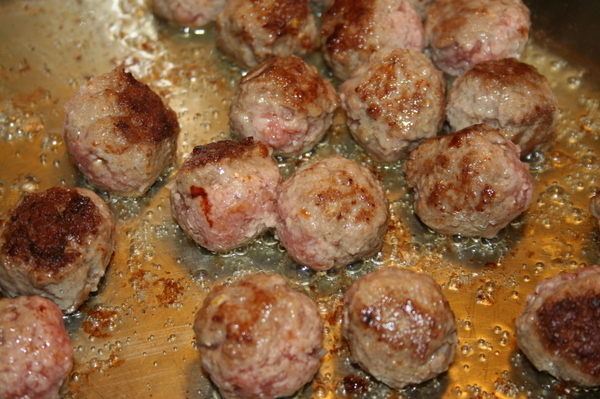 When the meatballs are all browned and the butter has melted, add the meatballs to the hot sauce. 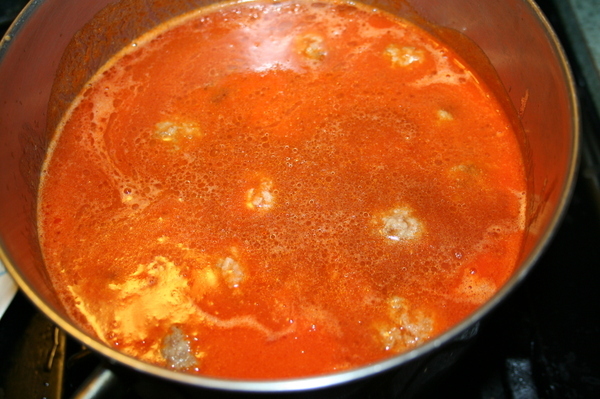 If you need to, add some beef stock to the liquid so that the meatballs are all submerged. Simmer until the meatballs are cooked through. 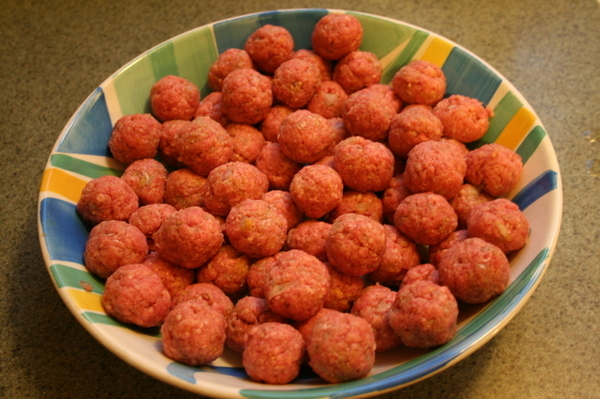 You can also put these in a crock pot on low and let them go. The longer they sit in the sauce, the more heat they'll soak up. 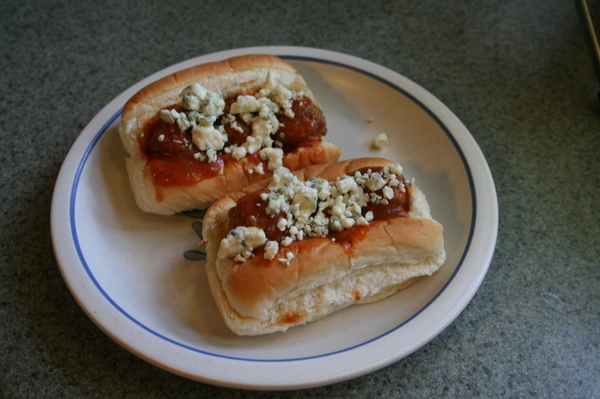 When you're ready to serve them, place 3 in a small finger sandwich roll and top with crumbled bleu cheese.